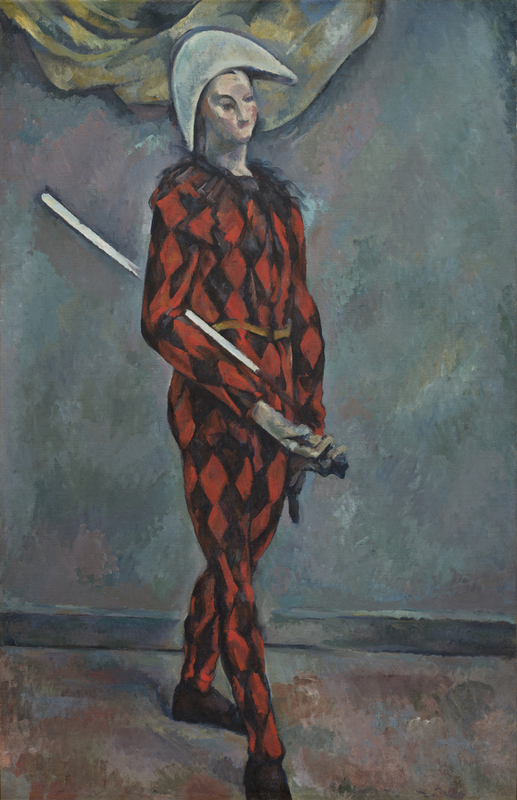 Cézanne painted the austere and elegant Harlequin, one of four costume pieces including a Mardi Gras showing Harlequin and Pierrot and three variants focusing on Harlequin, between 1888 and 1890. 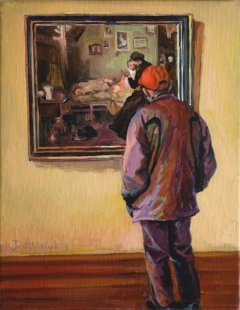 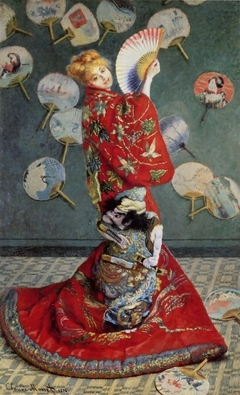 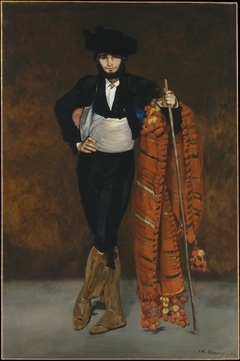 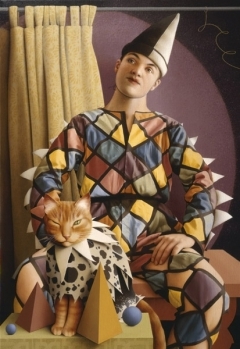 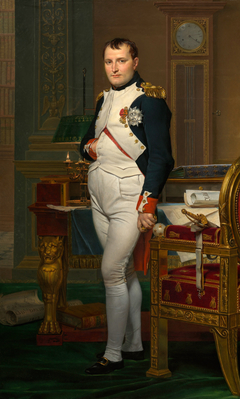 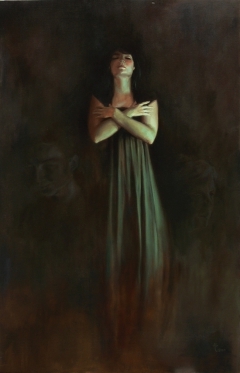 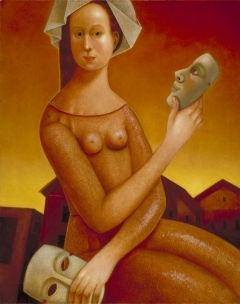 The artist's son Paul posed for Harlequin. 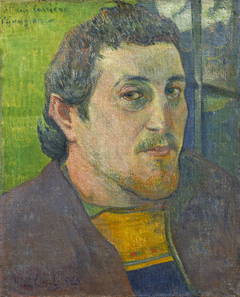 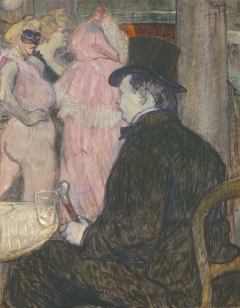 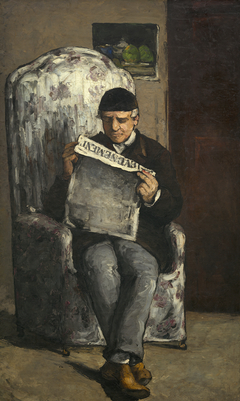 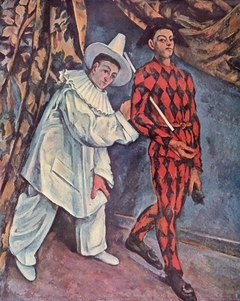 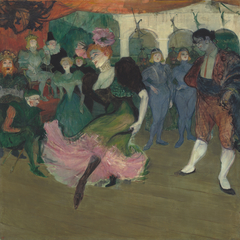 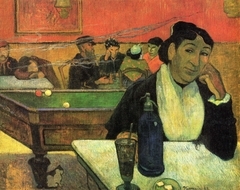 Sensitively portrayed in Mardi Gras, his face in Harlequin was replaced by an impassive mask, a further, more abstract stage in Cézanne's development of the theme. 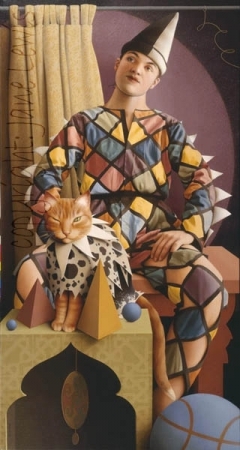 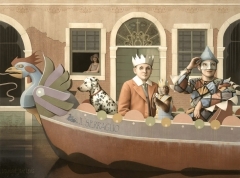 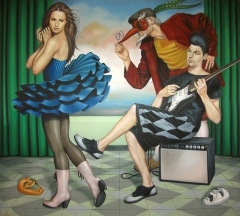 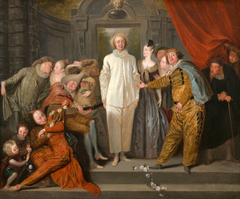 Harlequin's traditional diamond patterned costume, bicorn hat, and the wooden sword that denoted his buffoonery have appealed to artists from the eighteenth century to the twentieth, and the character appears in Watteau's Italian Comedians and Picasso's Family of Saltimbanques. 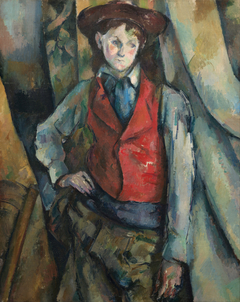 The opulent red and blue color scheme and lush surface texture are appropriate to Harlequin's theatrical origin, yet Cézanne emphasized the remoteness of the solitary figure. 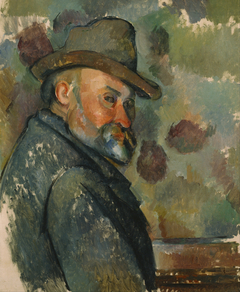 Pissarro brought Cézanne into the impressionist movement and Cézanne showed in the first and third exhibitions, but in the late 1870s he stopped exhibiting in Paris and withdrew to Aix. 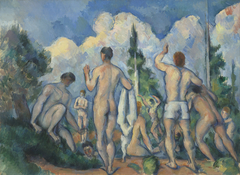 Through the patient scrutiny of nature that Pissarro had advised and which Cézanne pursued in virtual isolation there, the dark and expressionistic execution that characterized his early work was transformed into his profoundly meditative late style.